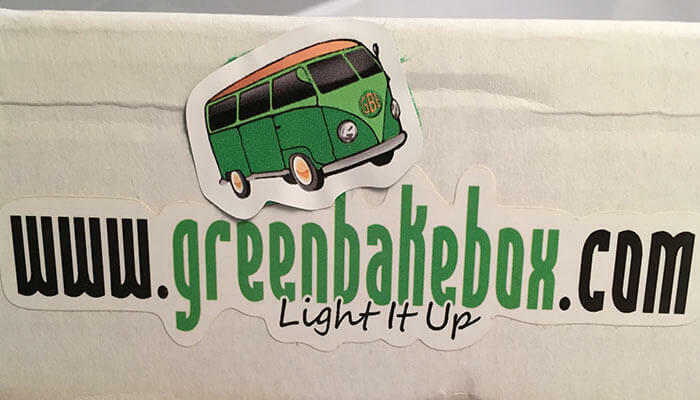 The Green Bake Box is one of the newest cannabis based subscription services, founded in May of 2015. 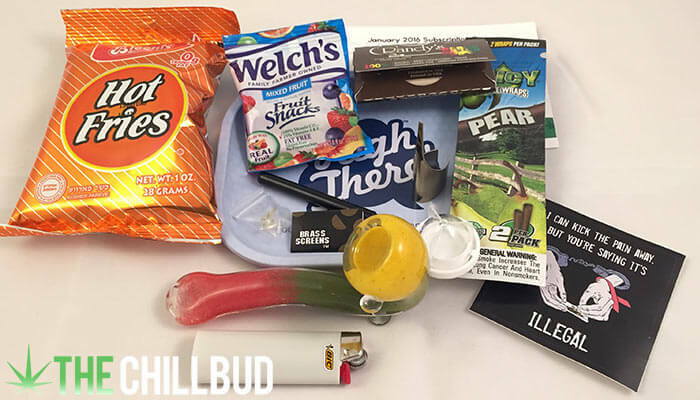 We were stoked to hear they wanted us to put together a review for them, helping to showcase their awesome service and put together a comprehensive Chill Bud review. 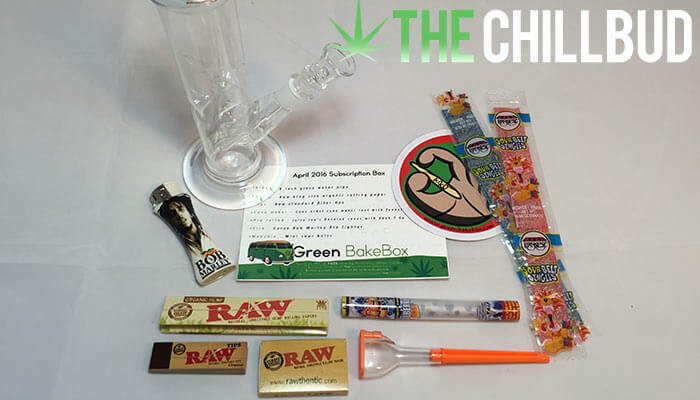 Coming in at $30 per month, the Green Bake Box is similarly priced to most other monthly subscription services. They do however offer a small discount if you order in 3-month batches. Upon opening the GBB I immediately noticed that the majority of the subscription price was put towards the glass bubbler, which I loved! This isn’t to say there isn’t anything else worthwhile in the box, in fact there was a little something in there for every kind of toker. Glass collectors will be thrilled with the cute bubbler in the November GBB, but dabbers and joint rollers weren’t forgotten. 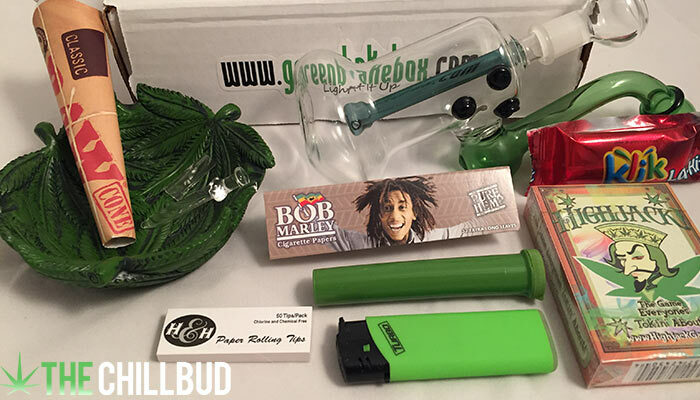 The box included a couple silicon containers with a holder for your favorite concentrates as well as a wand. 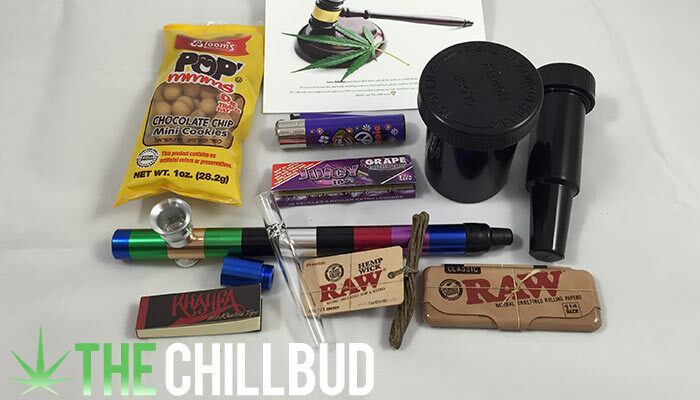 Rollers will enjoy the pack of Cheech and Chong hemp papers, the blunt wrap cone and the 15 feet of hemp wick. I really liked how they didn’t overload the box with any one thing, instead of giving you a treasure trove of smaller items, they poured their funds into fewer high quality items. The hemp wick for example, most boxes give you a small sample, around 3 feet. The guys over at Green Bake Box went above and beyond with the 15 foot spool. I feel like I got one of everything, which is a nice surprise, usually these monthly boxes have a ‘theme’ and you end up with half a dozen packs of rolling papers and a handful of matches / lighters. Instead of continuing to blabber on about the stuff you will find in the Green Bake Box, I’ll just show you and you can make up your own mind! Personally, I feel the value was there in the bubbler alone, everything else was just a bonus. 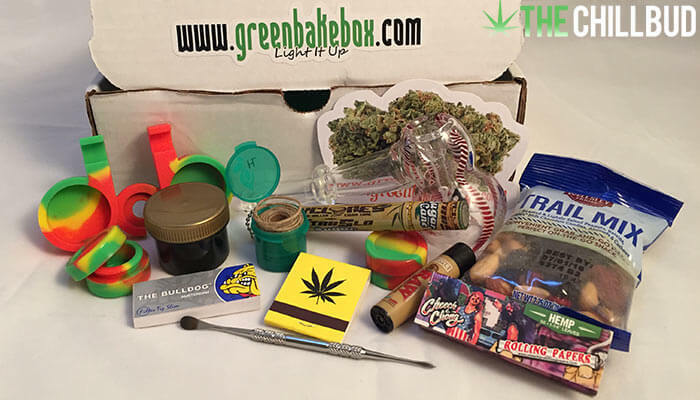 The Green Bake Box is perfect for gifting to that special stoner in your life. Because it has a little bit of everything, you can be sure there is at least something in there they will love. It’s also great for those looking to add to their glass collection on a budget. 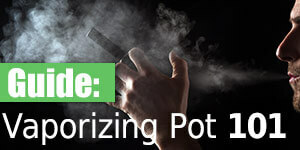 The GBB isn’t filled with junk, personally I will find good use for everything found in the November Green Bake Box. If I had any gripe, it would be the packaging. Not that it is bad, it’s just not quite as clean as some of the other boxes I have received. You get a plain white box with a sticker on the inner lip, the stash list is found on the inside of the box, but it is more of a word search than it is a stash list. But, you probably aren’t too concerned with these superficial things, the contents of the box are the stars of the show here, and they don’t disappoint. 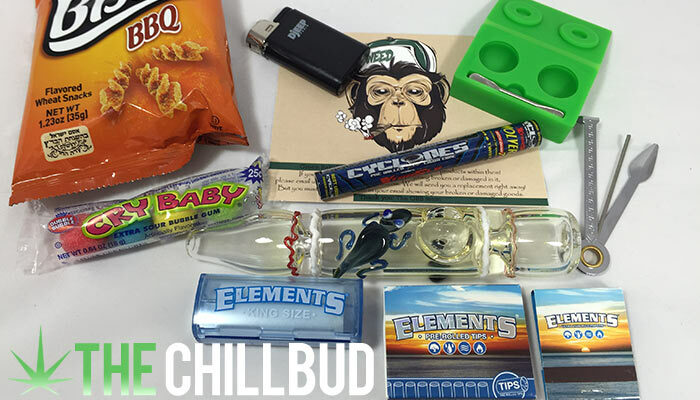 As a big thank you for being a TheChillBud reader, we got you 5% off your very own Green Bake Box subscription! Enter the code during checkout for instant savings. The same code gets you 10% off previous boxes. Sorry, it seems that The Green Bakebox is no longer a thing. 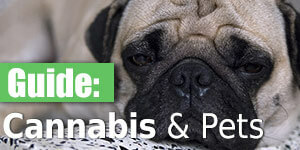 Check out one of our other Pot Box Subscription Reviews.